During the election voters are grouped into polling lanes based on age. The results of each lane are reflective of support by the age group. By mapping registered voters to polling lane results we can estimate the support by race and age. Each point in the graph represents one polling lane. The horizontal scale shows the percentage of Malay voters in the lane. The vertical scale shows the percentage probability of Malay voters in that lane of voting for PR. Fence-sitters are indicated along the 50% horizontal line. The size of the circle is based on the number of Malay voters registered to vote in that lane. Any point above the 50% probability line is good for PR. 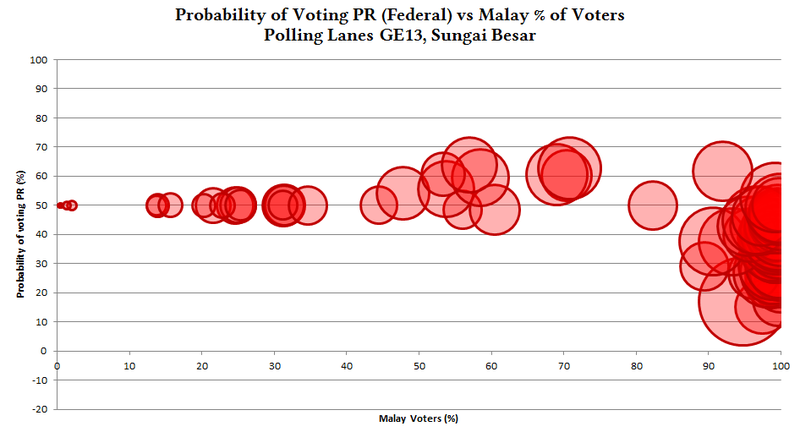 From this chart we can tell that PR did well in 11 polling lanes where the percentage of Malay voters is between 47% – 99%. 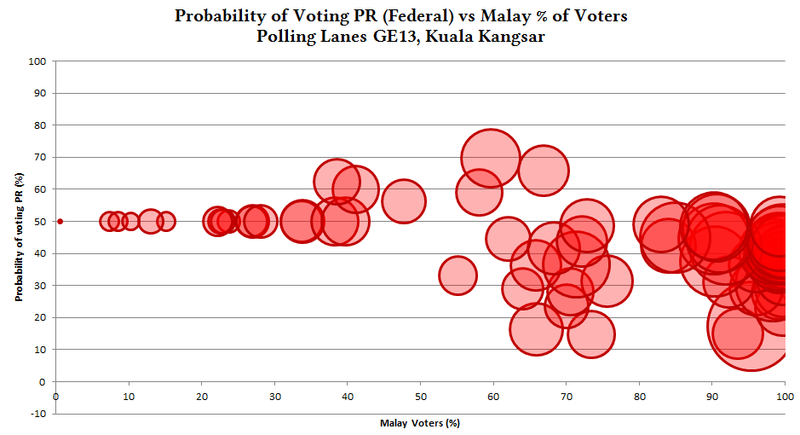 PR had lower than 50% support in 45 lanes where the percentage of Malay voters is between 90% – 100%. There is a trend of increasing support for PR as the percentage of Chinese voters increase. 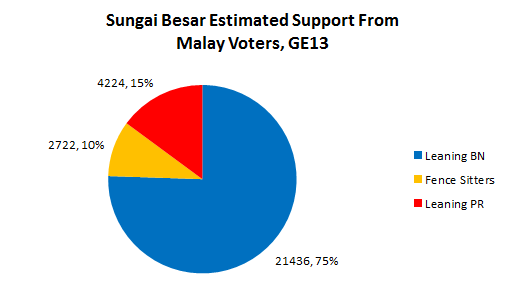 Like Sungai Besar, polling lanes with a high percentage of Malay voters have low support. However even mixed polling lanes where >50% of the voters are Malay also have low support for PR. 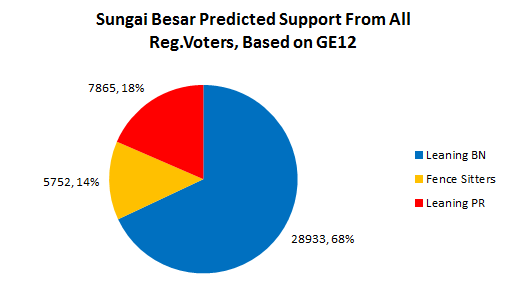 This means that PR (PAS) performed worse with Malay voters in Kuala Kangsar compared to Sungai Besar. 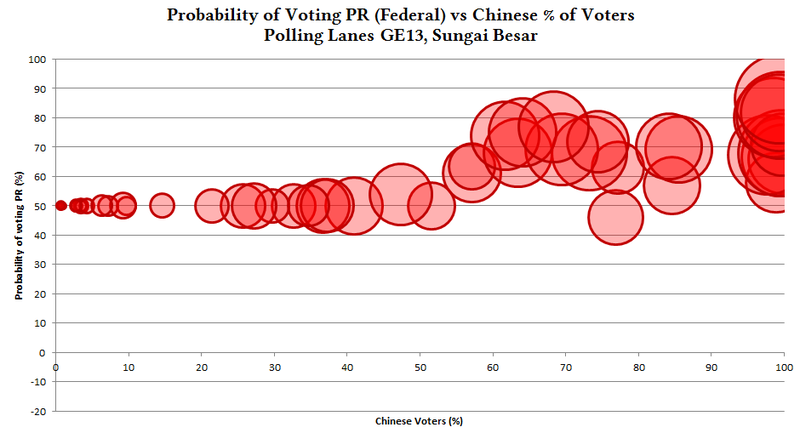 There are less polling lanes with a high percentage of Chinese voters compared to Sungai Besar. There is still a trend of increasing support for PR as the percentage of Chinese voters increase. 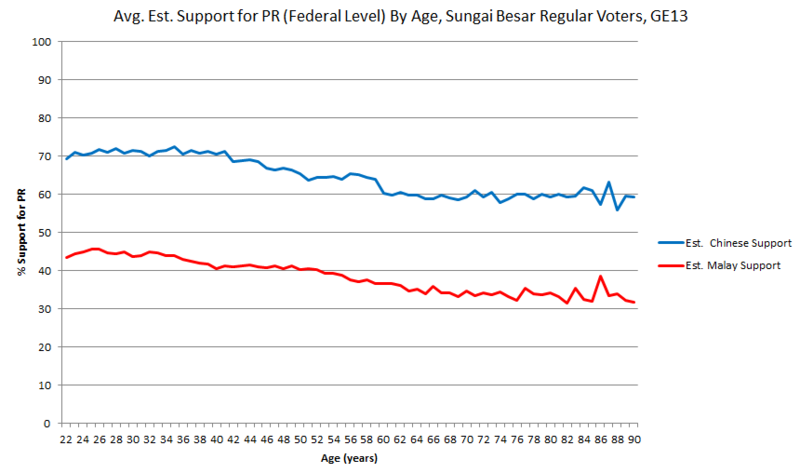 The following graph shows how average support has shifted by age and ethnic group in Sungai Besar. This was calculated by taking the average of individual support values from voters across all seats for each age group. Because they represent the majority of the electorate, only Malay and Chinese ethnic groups are shown. Chinese voters had a much bigger swing in support, but the swing was smaller from Chinese voters aged 47 – 61 years. 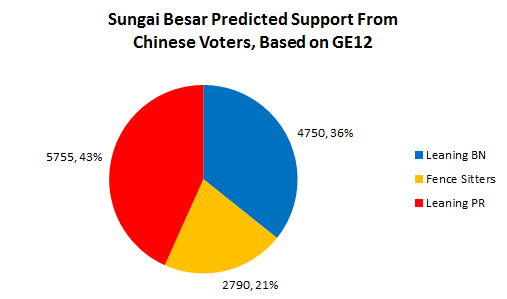 This graph shows the average level of support from Malay and Chinese voters in Sungai Besar after the swing. Anything close to or above 50% is good for PR. 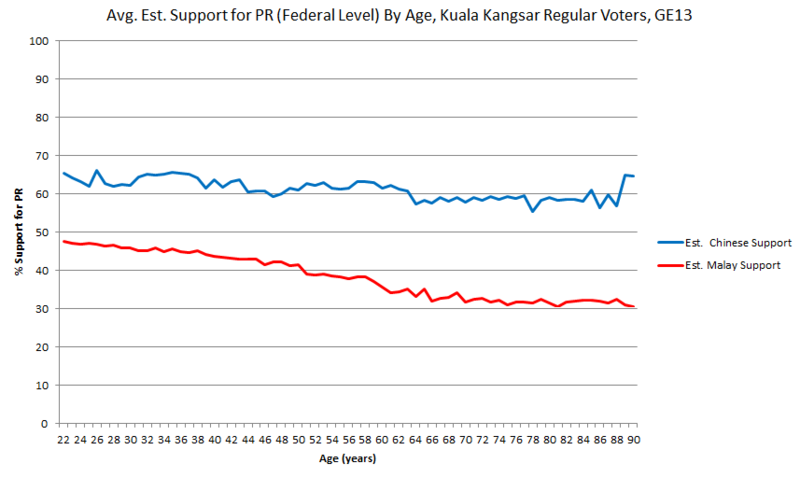 Support from Malay voters is below 50%, with the highest support from voters aged 34 years and below. 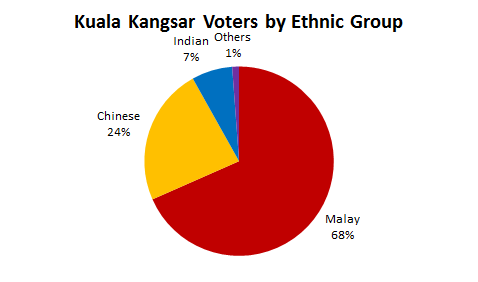 The following graph shows how average support has shifted by age and ethnic group in Kuala Kangsar. Positive swing was much higher from Chinese voters aged 68 years and above. 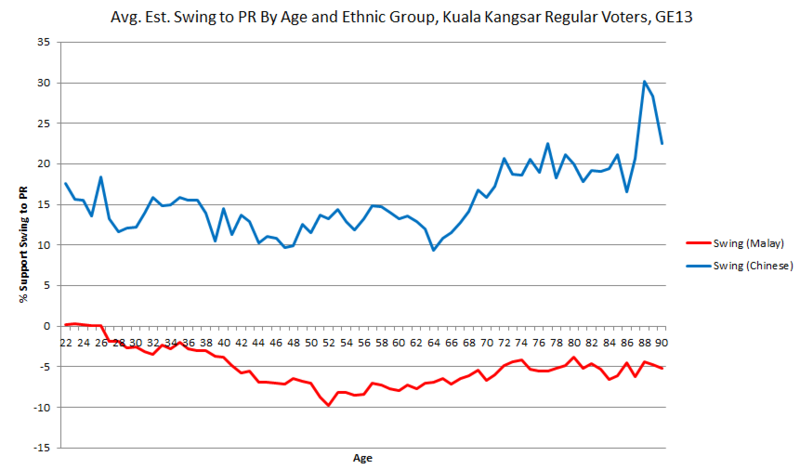 The higher swing is an indicator of lower support in GE12 from older Chinese voters. 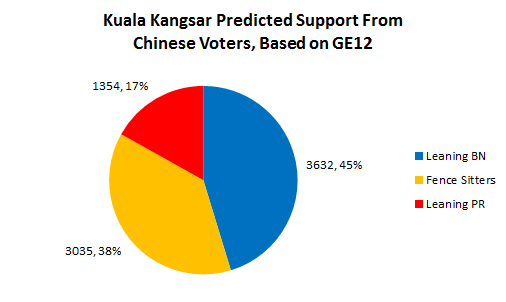 This graph shows the average level of support from Malay and Chinese voters in Kuala Kangsar after the swing. Anything close to or above 50% is good for PR. Support from Malay voters is below 50%, with a downward trend starting at 47.5% from 22 year-olds and dropping to 34% and below for voters aged 62 years and above. 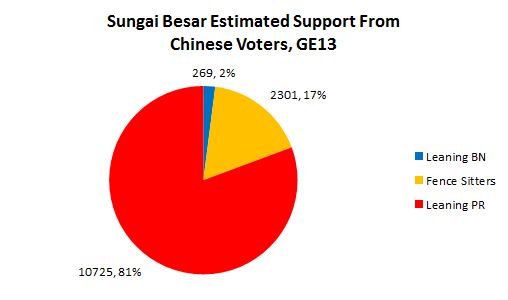 Chinese voter support and swing to PR (PAS) was good in both seats in GE13. 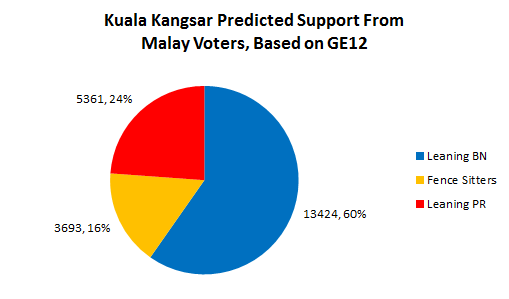 However support from Malay voters was below 50% in both seats, particularly Kuala Kangsar. There is some evidence to suggest increasing support from Malay youth in Sungai Besar. This may serve to PAS’ advantage in the by-election. These graphs only serve as an indicator of where average support levels are at and what direction they are heading in. Because averages of positive and negative swing values can results in a net positive or negative, we need to look at individual voter support levels to get a more accurate reading. Voters who are leaning BN might still vote for PR, so this metric is only an indicator of how good the odds are for PR/BN to win support from the electorate. 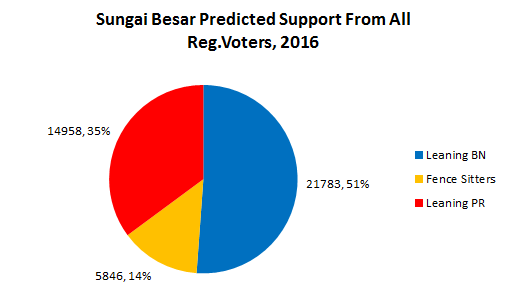 The two charts below show the predicted and estimated support from regular voters in Sungai Besar. By comparing the two we can see how support has shifted. Prior to GE13, BN had a clear lead with 68% of the voters leaning towards BN. After GE13 PR increased their share of support by 17% while BN lost 17%. The proportion of fence-sitters remains the same at 14%. 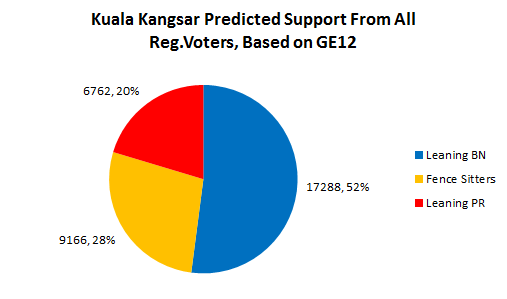 The two charts below show the predicted and estimated support from regular voters in Kuala Kangsar. Prior to GE13, BN had a slim lead with 52% of the voters leaning towards BN. After GE13 BN increased their share of support by 6% while PR gained 2%. The proportion of fence-sitters has reduced by 8%. As far as regular voter support goes, odds look good for PAS in Sungai Besar. Reducing BN’s support from 68% to 51% was an achievement for PAS in GE13. Kuala Kangsar does not look good for PAS as BN increased their share by 6%. 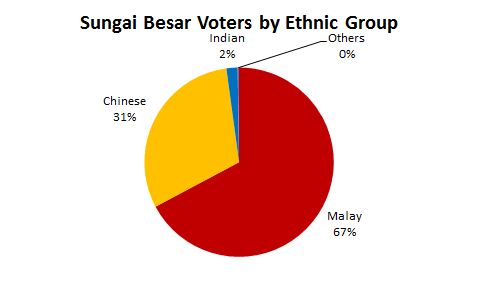 In the previous section we have seen the disparity between Chinese and Malay voter support, so to get a more accurate reading we need to examine both ethnic groups separately. After GE13 PR gained 8% while BN lost 10% share of support. The proportion of fence-sitters grew by 2%. Despite the loss, BN still maintains a large share of support with 75% of the voters leaning towards BN. Malay voters in Sungai Besar were largely pro-BN before and after GE13. After GE13 PR lost 16% while BN gained 23% share of support. The proportion of fence-sitters reduced by 7%. This was a big improvement for BN, and the drop in fence-sitters also means that it is much harder for PR to increase their share of support. 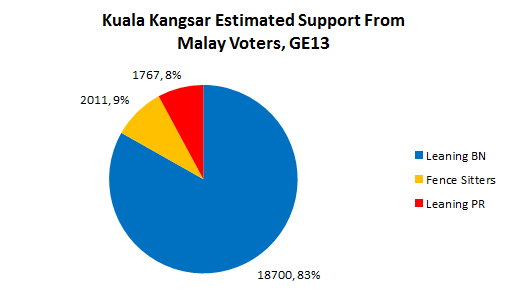 After GE13 PR increased their share of support from 43% to 81% of the voters. Support for BN dropped from 36% of the voters to only 2%. The proportion of fence-sitters reduced by4%. After GE13 PR increased their share of support from 17% to 70% of the voters. Support for BN dropped from 45% of the voters to only 2%. The proportion of fence-sitters reduced by10%. This was a dramatic shift in support from the Chinese electorate for PAS. Based on estimated figures from the 2015 Q4 roll, this is the predicted support from regular voters in both seats. The number of postal voters is too small to significantly affect the expected support levels. The Chinese electorate was the main factor behind PR’s performance in GE13 and it is not clear whether they will support PAS or AMANAH. Since October 2014 we have been profiling users from Malaysia based on their tweets. Over time we compiled a database of over 630,000 users in Malaysia. This enabled us to do opinion-based analyses on popular issues using tweets from users, weighted by the state user populations. Based on frequency of visits to a constituency, we can identify users who are possibly based in those areas. Our method is not 100% accurate as it is based on profiling, but in practice it has served as accurate enough for understanding user opinion at the state-level. Because Twitter is a form of social media primarily used by urban youth, our expectation is that the number of users in both constituencies will be small. They may not be representative of the local youth. However it will give an idea of what users on Twitter in these areas like to talk about. This map shows the concentration of Twitter users in Sungai Besar (outlined in red). Users are represented as shaded areas ranging from green (few) to red (many). Each user shown is a unique user in the country. There are 1,049 users in this constituency. 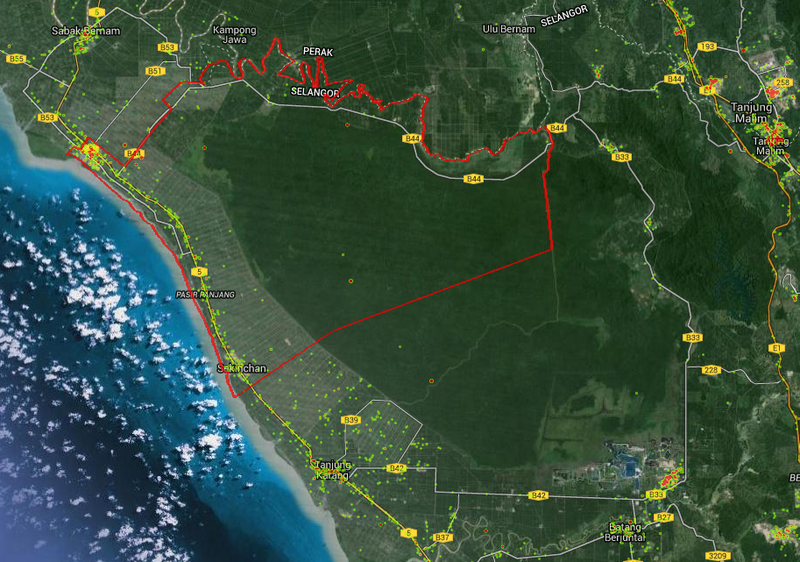 Users can be found mainly in Sekinchan, Sungai Besar town, and residential areas along the coast line. 89% of users use Bahasa Malaysia as a primary language. 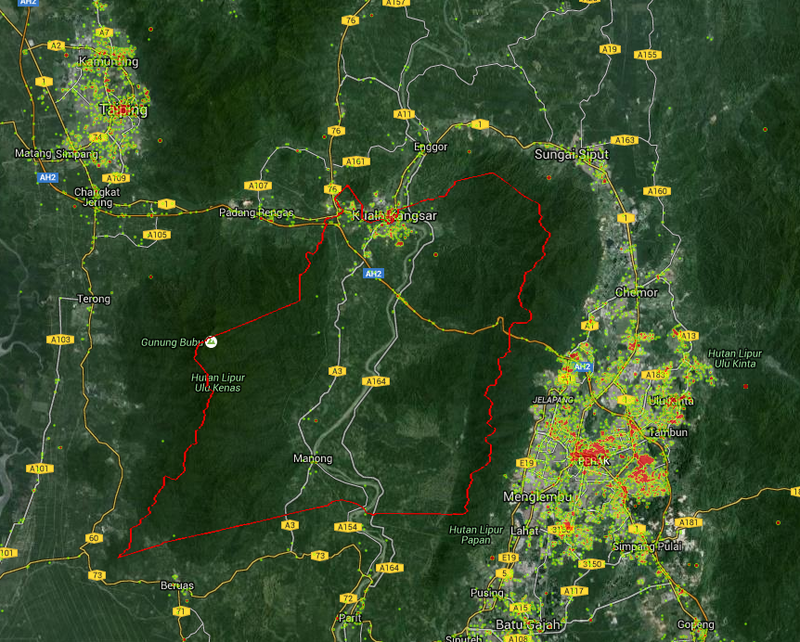 This map shows the concentration of Twitter users in Kuala Kangsar (outlined in red). There are 660 users in this constituency, concentrated almost entirely in Kuala Kangsar town. 81% of users use Bahasa Malaysia as a primary language. Mentions of words/phrases related to Islam, e.g. ‘Bismillah’; ‘Alhamdulillah’; ‘Allah’; ‘aurat’;’Quran’;’Al-Fatihah’. This is a general topic defined by a limited set of keywords drawn from political and social issue tweets. This does not include Hudud. This topic is useful for comparison to see if users in one group are more/less interested in Islamic phrases within a political/social context compared to the national interest levels. For each topic, we are going to list the number of users in each constituency and compare it with the state-level and Peninsular Malaysia-level of interest. By comparing the percentage of users in a constituency interested in a topic with the percentage of users in the state, we can see if they have higher or lower interest levels. The table below lists the topics ranked by the percentage of users in Peninsular Malaysia expressing interest in each topic by tweeting / re-tweeting. The table below lists the topics ranked by the percentage of users in Selangor expressing interest in each topic by tweeting / re-tweeting. The table below lists the topics ranked by the percentage of users in Perak expressing interest in each topic by tweeting / re-tweeting. Compared to Peninsular Malaysia, Perak users show greater interest in the topics listed. The only exception is mentions of DAP politicians where 2.83% of Perak users showed interest compared to 3.11% of Peninsular Malaysia users. This is indicative of the stronger appeal these topics have for users in Selangor. Hudud ranked higher in Perak compared to Selangor and Peninsular Malaysia. A similar drop in interest can be observed in Selangor and Perak, which indicates that users are starting to lose interest in these 3 issues, despite media coverage each month. Hudud did not resurface as a current issue until May 2016, so comparing the drop in interest would be misleading. Another interesting fact is that while Anti-Najib Campaigns ranked in the Top 10 of each list, the individual campaigns drew less than 10% of the population’s interest. They did not have dedicated interest over the long-term. The most recent anti-Najib campaign, #SaveMalaysia only saw the participation of 4.99% of Peninsular Malaysia users. Most of the 12.15% of the population that showed interest in #Bersih4 (which included a goal of Najib stepping down) did not show interest in #SaveMalaysia in 2016. The same is true of the population that showed interest in Anti-Najib Campaigns in 2015. It is important to note that interest in a topic does not indicate partisanship. It only means those users have demonstrated enough interest to tweet/re-tweet content related to the topic. In the case of hashtag campaigns this may include tweets that are for or against the cause. The ‘Diff from Pen.’ and ‘Diff from SGR’ columns list the difference in percentage points between Sungai Besar user interest and Peninsular / Selangor level user interest. Key differences are highlighted in bold. Out of the total 1,049 users in Sungai Besar, 625 users (59.6%) show interest in the topics listed. Excluding Islamic Phrases, 598 users (57%) show interest in the topics listed. The higher interest in Zakir Naik, Hudud and use of Islamic phrases suggests that Islam-related issues would be more appealing to the youth in Sungai Besar compared to the average Selangor youth. The ‘Diff from Pen.’ and ‘Diff from PRK’ columns list the difference in percentage points between Kuala Kangsar user interest and Peninsular / Perak level user interest. Key differences are highlighted in bold. Out of the total 660 users in Kuala Kangsar, 390 users (59.1%) show interest in the topics listed. Excluding Islamic Phrases, 363 users (55%) show interest in the topics listed. As we noted earlier, Perak users show more interest in all topics (except DAP YB 2015) compared to Peninsular Malaysia. A higher percentage of Perak users show interest in all the topics when compared to Selangor, apart from #Bersih4, #MansuhAktaHasutan and Opposition politicians. Like Sungai Besar, Kuala Kangsar users also showed higher interest in Zakir Naik, Hudud and the use of Islamic phrases compared to state-level interest. A similar proportion of users are also interested in UMNO. When compared to Peninsular Malaysia’s interest levels, the percentage of Kuala Kangsar users interested in Islamic Phrases was 8.12 points higher. The lower interest in 1MDB, PM Najib and Anti-Najib Campaigns may indicate these issues are less popular with the youth in Kuala Kangsar. 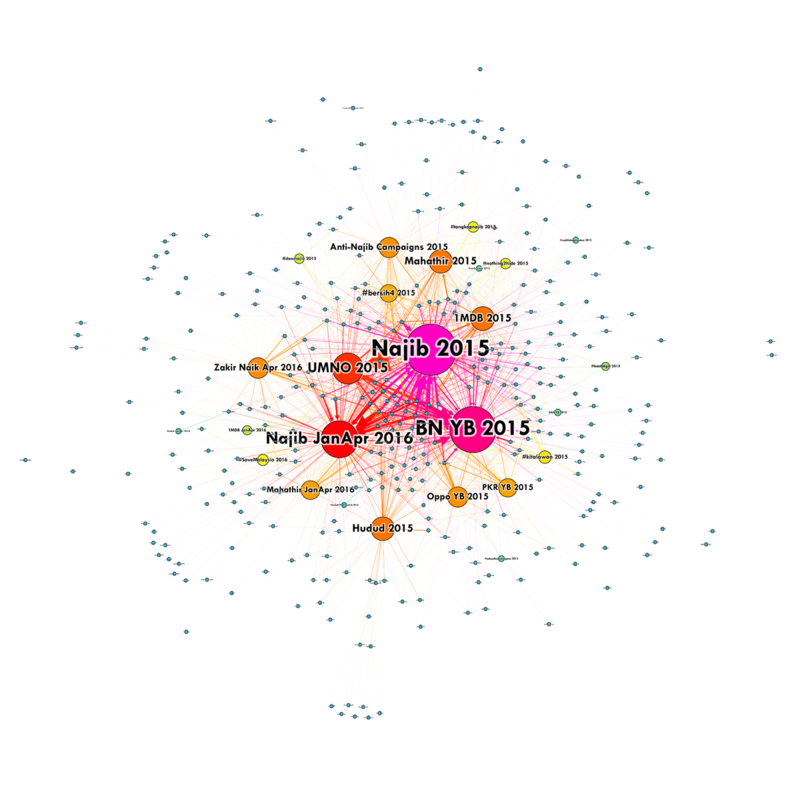 The network graphs below show how users in Sungai Besar are connected to each topic. Each user is represented as a blue node (circle) that is connected to larger nodes labelled with the topic name. The strength of the connection is based on the number of tweets by the user – stronger connections will draw the user closer to the topic. Stronger connections are also visualised as thicker lines with larger arrows. The size of the topic node (and its font) is relative to its popularity – larger nodes represent the most popular topics. ‘Islamic Phrases (Socio-Political) 2015’ is not shown in the graph – this was to make it easier to identify closely-related topics and focus more on political issues. Users are clustered based on their connectivity to each topic. 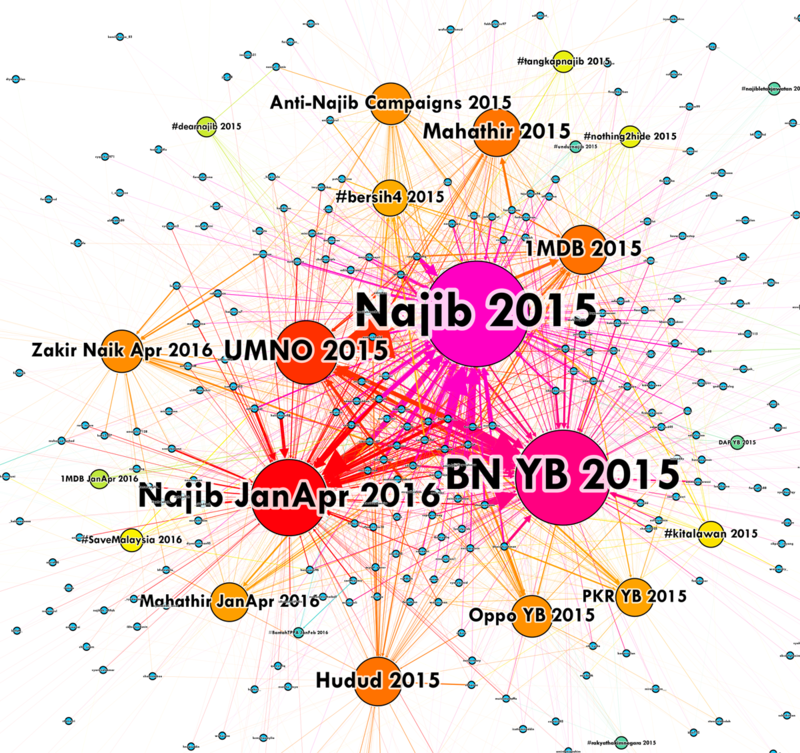 For example, users clustered between the BN YB 2015 and the Najib 2015 nodes have the strongest connections to both topics. 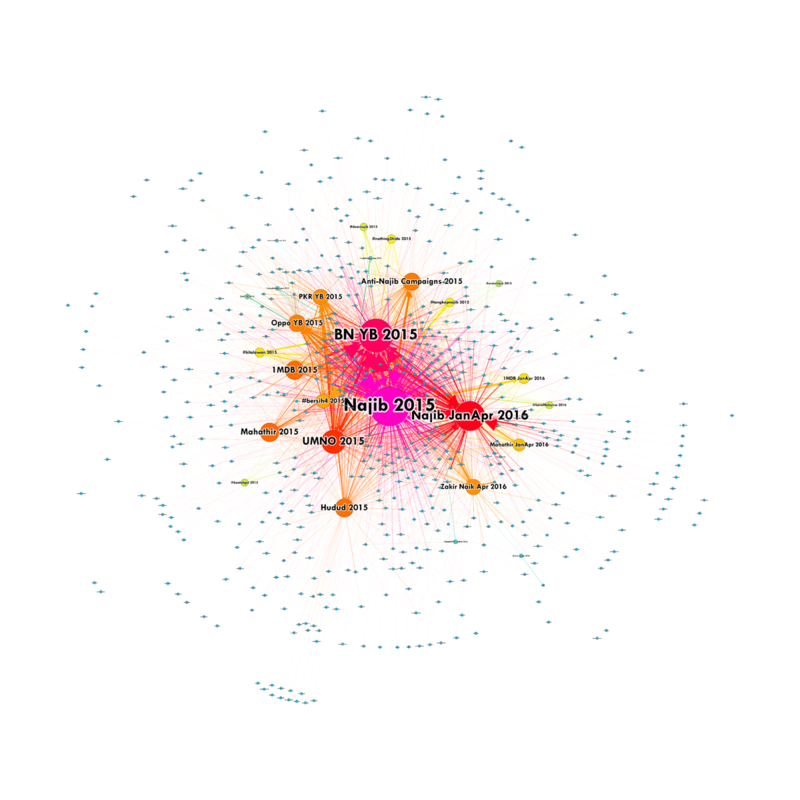 Users clustered within the center of this network have a strong interest in political topics, while those on the outer edges of the graph have weak interest in a few topics. Using network graphs we can identify the potential local campaigners for activists and political parties. Topics that draw similar audiences are also clustered together. For example, ‘#bersih4 2015’, ‘1MDB 2015’ and ‘Mahathir 2015’ are closer because they appeal to a shared audience. There are fewer users in Kuala Kangsar, but the patterns are similar to Sungai Besar. 55% of users in Kuala Kangsar and 57% of users in Sungai Besar have an interest in political issues and Islam-related issues. Hudud, Zakir Naik, Islamic phrases and UMNO draw a greater percentage of users compared to their respective state levels. Looking at these figures, it would appear that PAS succeeded in reducing BN’s share of the vote in Malay-majority seats. 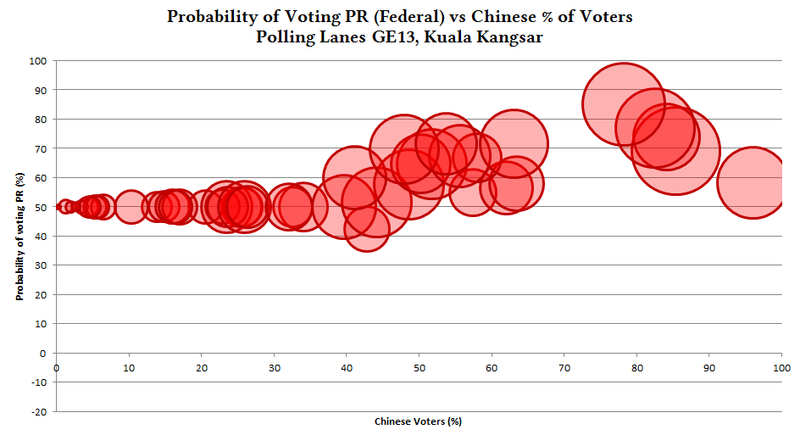 However our analysis indicated that Chinese voters in both constituencies swung to PAS by a high percentage, while Malay voters swung away from PAS in Kuala Kangsar. 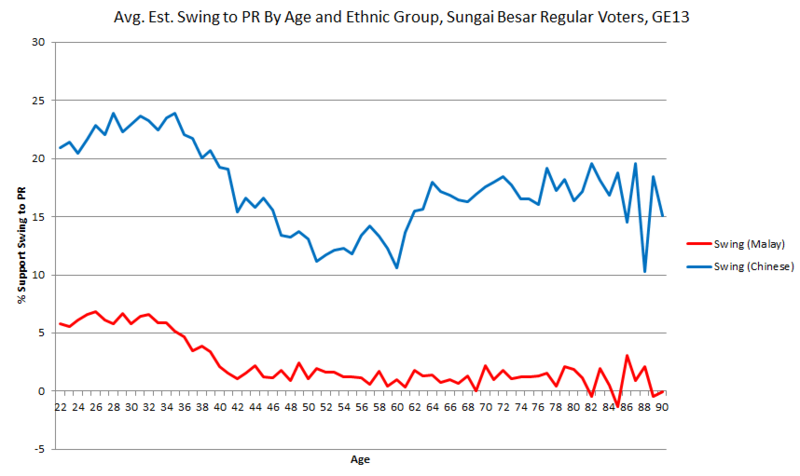 Positive swing from Malay voters in Sungai Besar was mainly concentrated in voters aged 36 and below. 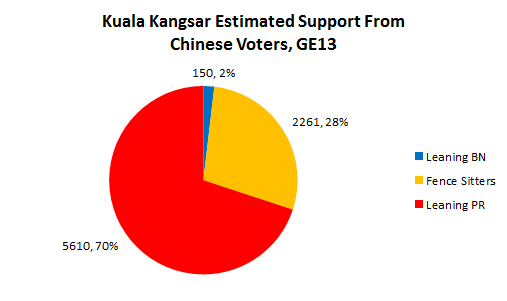 PAS’ improved performance in GE13 was largely due to support from the Chinese community. Now that PAS is not part of Pakatan Harapan it is not clear if the Chinese community will continue to support it. AMANAH may gain the support of the Chinese community instead, but this can be counter-productive. As both PAS and AMANAH are Islamist parties, they need to appeal to the Malay electorate. If the election results are racially-divided where AMANAH gains votes mainly from Chinese voters while PAS and UMNO gain votes mainly from Malay voters, this can hurt AMANAH’s reputation as it didn’t prove its appeal to the Malay community. In Sarawak, AMANAH was unsuccessful at drawing a significant number of votes away from PAS. These by-elections are really a test to see how well PAS and AMANAH do competing against each other. If both parties combined get 50% of the vote that enables BN to win the seats with less than 50% of the vote. The results of these by-elections will serve as a preview of what might happen in GE14 if PAS and AMANAH contest each other nation-wide. 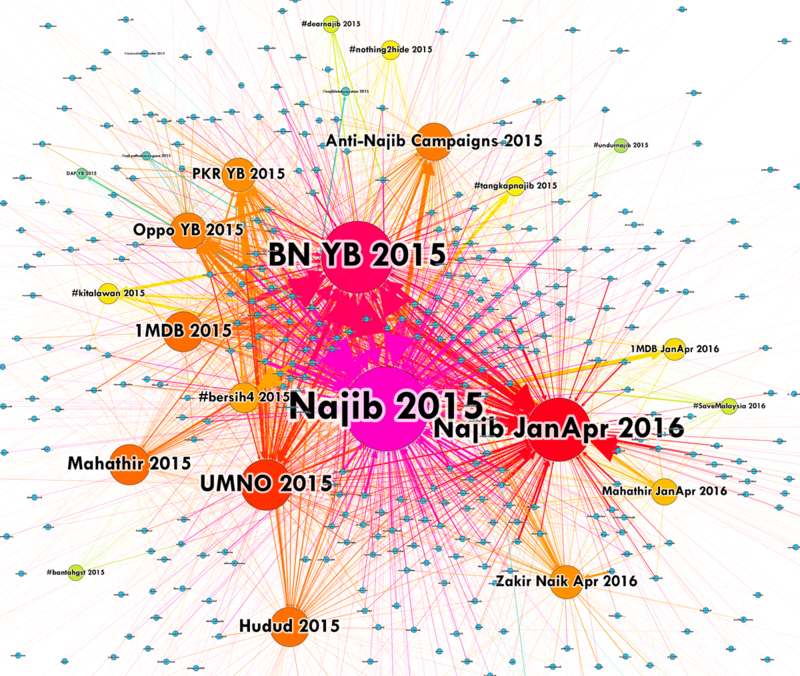 Our analysis of Twitter users indicates that PM Najib Razak, UMNO, Hudud, and Tun Dr. Mahathir are discussion topics that draw the most interest in both constituencies. However interest in 1MDB dropped considerably in 2016, while interest in #SaveMalaysia was lower than Anti-Najib Campaigns in 2015 in Peninsular Malaysia, Selangor, Perak and both seats. Interest in Najib and Mahathir has also declined, more for Najib than Mahathir. Using Twitter is not as reliable at gauging sentiment compared to a survey. However comparing the interest levels at both the seat-level and state-level has yielded some insights as to the degree of importance each issue has for the youth there. Interest in Anti-Najib campaigns is higher in Sungai Besar and lower in Kuala Kangsar. Kuala Kangsar users also showed less interest in 1MDB. This implies that Anti-Najib campaigns may find less appeal in Kuala Kangsar. The above-average interest in Islamic Phrases also indicates that Islamic issues and Hudud have a strong appeal to the Malay youth there, even stronger than the respective state interest levels. Appreciate if you would forward me updates. Thank you.